Rescue – two hours left! This girl has only a couple hours before her fate is sealed. She was given up by her family. CAN NOBODY HELP HER? EVEN TO FOSTER? TAKE TO A NO-KILL SHELTER? 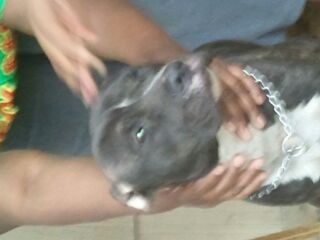 THIS POOR BEAUTIFUL BABY GIRL WILL DIE TOMORROW MORNING! 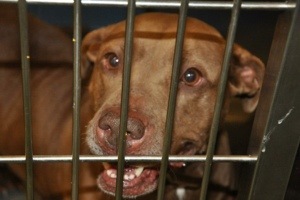 PLEASE – EVEN A CALL TO LET THE SHELTER KNOW YOU ARE INTERESTED COULD SAVE HER LIFE! DON’T LET THIS BEAUTIFUL GIRL DIE TOMORROW! Jody can help you if you are interested!! Please help this incredibly sweet dog- stuck at MAS. We have tried to find her a home but have had no success. Now we are told that she only has until close of business TODAY ( 6:45 pm central time) to find her an adopter or foster- or else…. Please don’t let them kill her!!!! 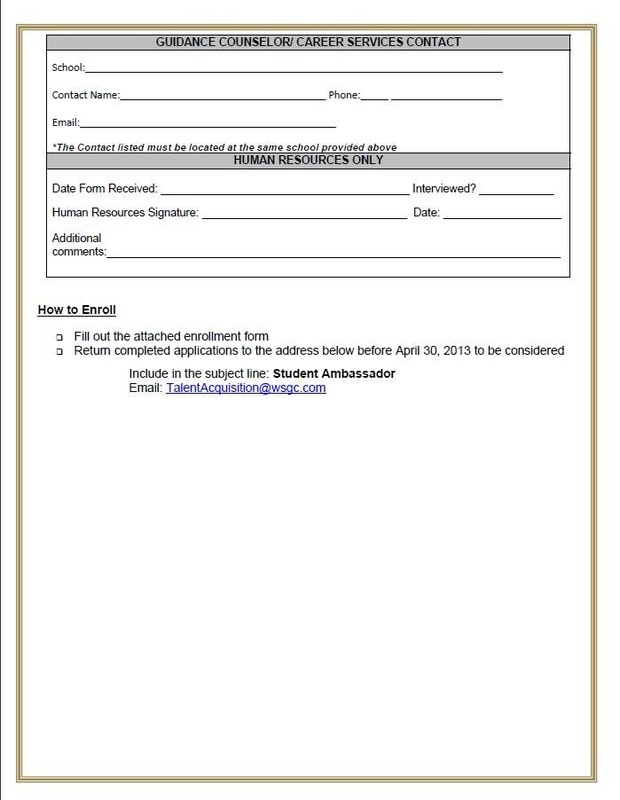 The Student Ambassador Program is designed to provide motivated and enthusiastic high school, college freshman and sophomore, or career college students a unique work opportunity that will include on the job training and mentorship. 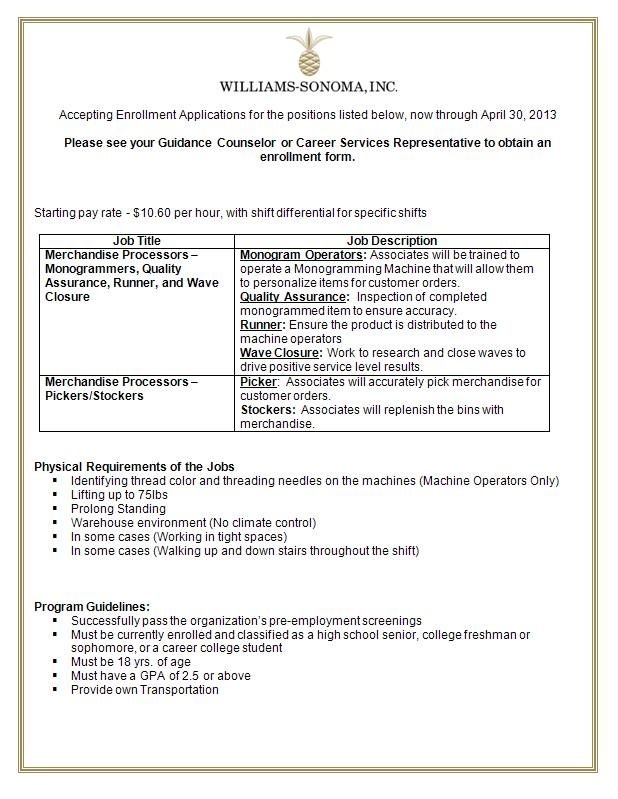 Additionally, it will provide students with an introduction into the logistics work environment. The program will be administered by the Human Resources Talent Acquisition’s team. College freshman and sophomore students will be hired part-time for Memphis, TN and Olive Branch, MS Distribution Centers. Each student will be assigned a mentor to assist with transition into the work place. The mentor will train and provide leadership to their assigned ambassador. The mentor will be required to go through an orientation with the Human Resources facilitator and will provide updates on the ambassador’s progress throughout the program. 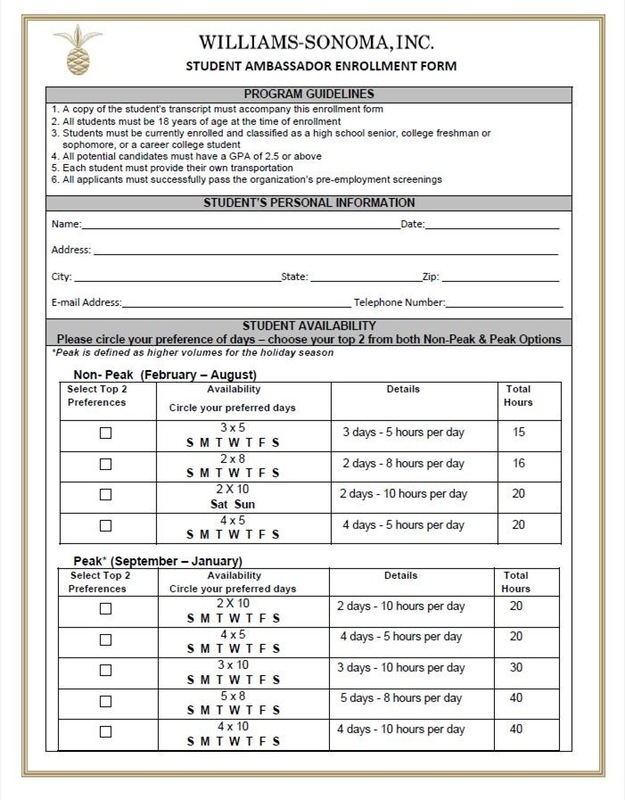 -A copy of the student’s transcript must accompany this enrollment form. 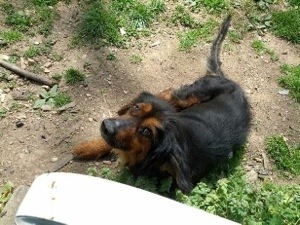 We have an offer from New York for this abandoned baby boy! They will pay for transport – just need help getting it set up. I can help financially too. Please can anyone help with transporting this baby boy before this man shoots him? He will have a REAL chance at life! PLEASE GET IN TOUCH WITH KAYJOANNIE@AOL.COM – and copy me too! Any way we could get help with transport to NY? We can pay for it we just need the transport network from down there. We have no real connections any ideas? This dog wandered up to Ralph’s home. Ralph lives in Cannon County, TN. There is no animal control in this county. No place to take this dog. He said he certainly does not want to shoot it but he does not want it to starve and suffer by running loose either. Is there anybody who can rescue this one? He has some hair loss on his back. Weighs around 30 lbs. Please cross post. Thanks. 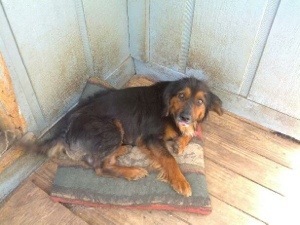 Just needs someone to pull her from MAS – she has a home to go to in Nashville! OR she will die! 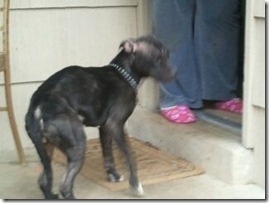 PLEASE PLEASE – THIS IS A PIT BULL MIX. SHE HAS BEEN AT MAS FOR 72 HOURS. SHE WILL DIE IF NOT PULLED TOMORROW!!! Suzy has been trying to get this dog rescued even before she went to MAS. The police showed up two hours after she first found him and was making plans to go get him. Now she has been dealing with MAS to pick him up. Read below. 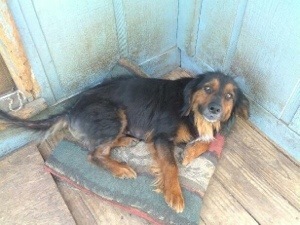 Her yard wont pass the home check, but she is sending him to Nashville where he will have good care. Can somebody pull him for her? I am willing to pay the pull fee along with a donation to the reacue group. Just tell me how much The pull fee is. Suzy – Is he already neutered? Otherwise that will charge for the too. I will pay either way. This pit mix is due out tomorrow. I put my name down for her last week but I know my yard won’t pass the yard check. I have someone in Nashville willing to give her a home (apparently this woman does some rescue/cross posting herself) and nurse her back to health. 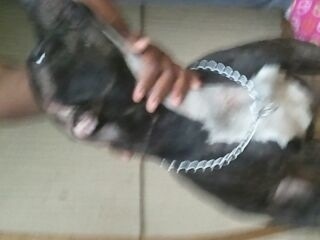 I told her I would get her vetted but I am in need of getting a rescue to pull her. Do you know of a group willing to do this? CAN SOMEONE GET THIS DOG TO A VET BEFORE MAS PICKS HIM UP TOMORROW? WE HAVE A $100 PLEDGE TO START HIS VETTING/BOARDING CARE. CAN A RESCUE STEP UP TO HELP? PLEASE? WE MISSED OUR CHANCE YESTERDAY WHEN A VERY SIMILAR DOG DIED BEFORE WE COULD HELP. LET’S NOT HAVE ANOTHER DIE A SUFFERING DEATH. PLEASE! 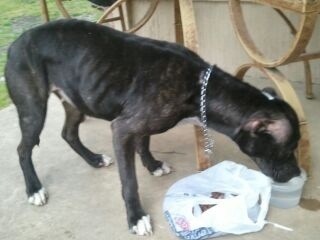 My mother passed this dog and tried to feed her, she is obviously starved and needs help (pics attached). A woman came out from a nearby house and said she has been trying to put food out for the dog but her husband wants her to call the pound tomorrow. She allowed my mom to put a blanket on her porch for the dog (the dog immediately took advantage) but who knows when the husband is going to call animal services. We have no where for the dog, my mom has 5 dogs and I have 4 that don’t get along My mom is going back in the morning with more food. This is not a good area and I am worried the wrong person will grab this dog. If you can help in any way please let me know. We are willing to help in any way. The house is located on Dearing at Dearing and Mallory near Willow Oaks Elementary school (Getwell/240 area).